This is not a common holiday destination. Forget about switching on the TV to see your regular show or signing in for a guided tour. The Country House invites you to countless hours of tranquillity. You can lose yourself in Umbria, Italy’s green heart, with its never-ending olive fields, only to find yourself again. Feeling a little hungry? Save it for the meal, you will not regret it. 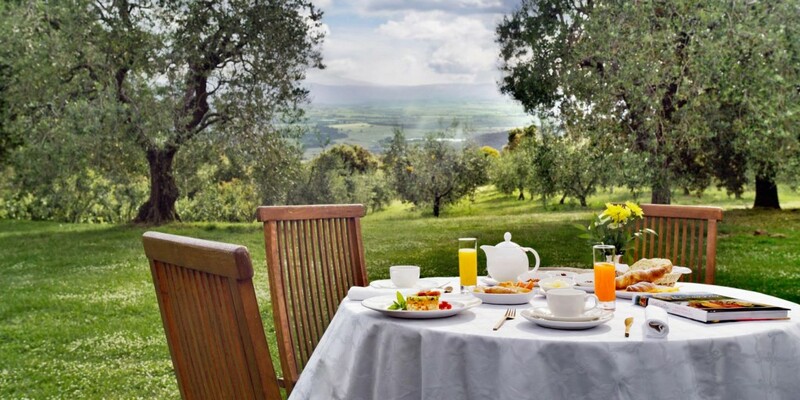 There’s nothing like starting the day with a healthy homemade breakfast, which you can enjoy amid the breathtaking panoramic views of the Umbrian countryside while the sunbeams warm your skin. Our rural hotel lies within a 25 acre field of 1500 perfectly aligned olive trees, which produce our own olive oil. We strongly recommend that our guests take a walk among them, as it is a very soothing activity. Of course, there is a chance you might want to keep walking to where our olive trees end, or you might go as far as Lake Trasimeno, it’s up to you! 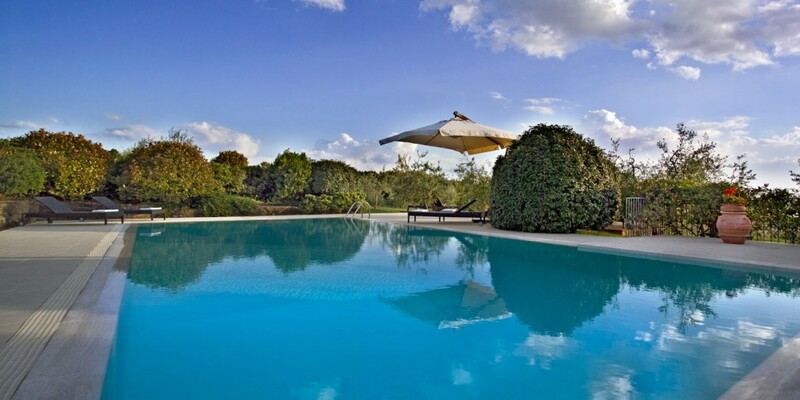 When back again in Montali, it’s time to go for a refreshing swim in the pool, or to have an aperitivo while enjoying the Umbrian sunset. 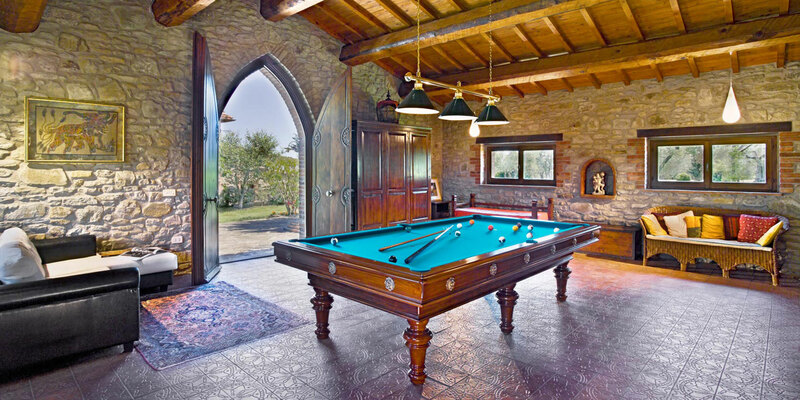 However, if you prefer to stay indoors, you can always challenge other guests to play billiards, or relax on a sofa to read the newspapers using our Wi-Fi connection. GPS might not work around here, but the Internet is working throughout the property! And please, do not forget that you can always lay back, close your eyes and enjoy the silence. Your call! Last, but not least, we think it is important to highlight the fact that all the energy utilized by the hotel is 100% green, as we have installed solar panels on the new parking cover to fully harness the sunbeams. This is possible thanks to Montali’s exceptional location, on top of a hill, and facing east-west.